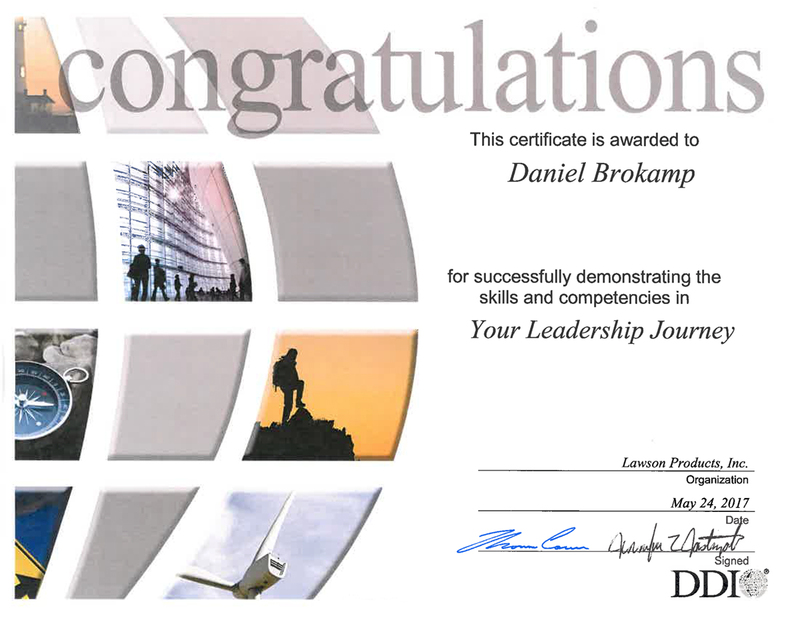 In May 2017 I was selected to participate in a DDI Leadership training course. The training sessions is created by Development Dimensions International (DDI), an international human resources and leadership development consultancy. My employer Lawson Products hosted this training where I had the opportunity to develop my leadership skills such as communication tips, managing staff and prioritizing based on company goals and values. In group activity my team won one of the competitive exercises and I earned leadership certificate.